Renée Ferguson is the Chief Operating Officer and a Director of the Kenson Group Of Companies. A national of Trinidad and Tobago, Ms. Ferguson has over 18 years of experience in the Oil and Gas sector. She leads the business operations by ensuring efficiency and effectiveness while staying true to Kenson’s vision of providing quality service, driving performance and remaining customer-focused. 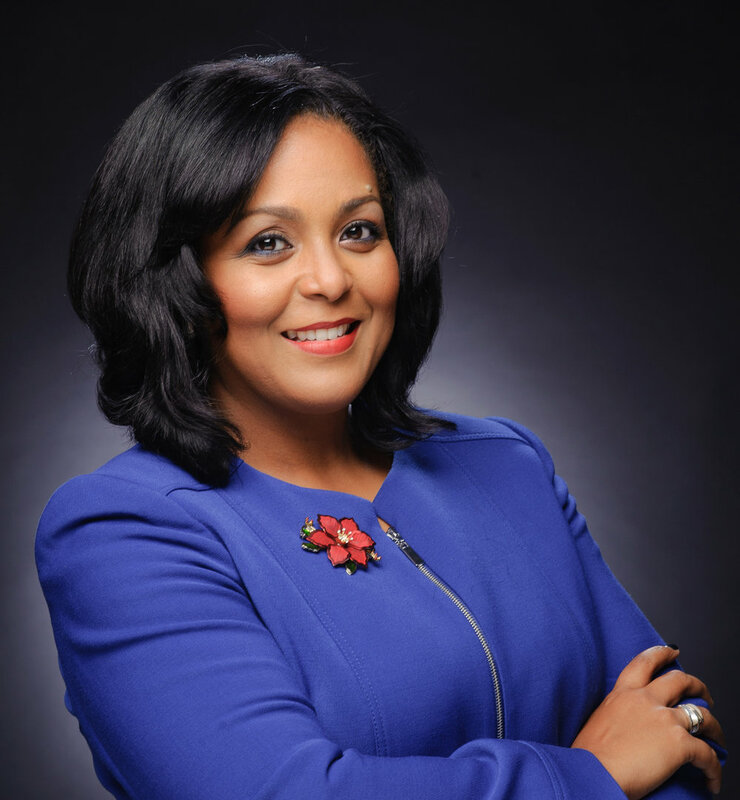 Renée Ferguson is also the Chief Executive Officer of Kenson School of Production Technology where she is involved in running the daily affairs. Renee provides strategic direction and is accountable for all aspects of Finance, Commercial, Information Technology, Legal, and Human Resources. To date, along with her team, she has forged a best-in-class organization in Trinidad and Tobago, with many service providers benchmarking their systems and processes. Due to her deep concern for building local capability and capacity, under her stewardship, Ms. Ferguson has been able to establish the Kenson School to identify, train and develop young nationals to equip them with the knowledge and experience to work either on an offshore or onshore facility. In 2009, Ms. Ferguson was the co-founder of The Maz Foundation, which is a non-profit Organization, dedicated to positively improving the quality of life of stakeholders in the geographic reach of the company through fundraisers and other efforts. Chairman, Executive Committee Kenson Group of Companies. Provost, Kenson School of Production Limited. Prof Rodney R Jagai has had a very distinguished career in the Petroleum Industry. In 1974 he joined Amoco Trinidad Oil Company as a Petroleum Engineer and worked his way up through positions of increasing responsibility locally and with international Amoco Subsidiaries ending his career with Amoco in 1998 as Vice President – Operations Services. In that same year he joined Petrotrin as President, a position he held until 2002. Following his tenure at Petrotrin, Prof Jagai left the industry and pursued a full-time life of academia commencing as a part-time instructor in Petroleum Engineering at the University of the West Indies, St Augustine Campus during his industry years. He joined the University of Trinidad & Tobago as Academic Programme Coordinator in the Petroleum Engineering Faculty and rose to the rank of Associate Professor in Practice in Petroleum Engineering. He was then appointed Acting President of the University of Trinidad & Tobago a position from which he recently retired. He currently serves as Provost to the Kenson School of Production Technology, Chairman of the Executive Committee and Management Consultant & Executive Coach to the Kenson Group of Companies. 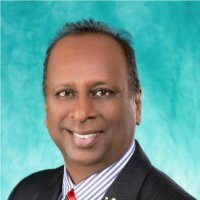 He is also a Practicum Supervisor for the MBA Programmes at the Arthur Lok Jack Graduate School of Business. He served on the boards of Carib Brewery, ANSA Technologies, Carib Glass and Petrotrin. Prof Jagai is the holder of a BSc (First Class Honors) in Chemical Engineering from the University of the West Indies, St Augustine Campus, an MSc in Petroleum Engineering from the University of Tulsa, Ok., USA and Associate Professor in Practice at UTT. He was recently accepted as a Fellow of the Institute of Learning & Management (FInstLM) of City & Guilds and a Fellow of the Energy Institute (FEI) of UK. Ms Melissa Mohammed is currently the Manager of Academic Operations at the Kenson School of Production Technology Limited (KSPTL). Her career began as a technician and throughout her 20 years plus experience she has made tremendous strides in the petrochemical and oil and gas sectors. She possesses significant experience in the areas of construction, design, estimating and project management. Melissa has the distinct pleasure of being the first female process technician at BPTT Galeota Point Terminal Facility. During her tenure at BPTT she transitioned among several roles with increasing responsibilities specifically as the Area Authority for the New Oil Export Line Project and was eventually seconded to the Control of Work Team. Melissa joined the Kenson School of Production Technology Limited as an instructor with specific duties of lecturing a foreign delegation of Ugandan trainees. She was soon promoted to Team Lead for Research and Curriculum Development for the qualification in the International Vocational Qualifications (IVQ) Advanced Diploma in Oil and Gas in November 2012. With her outstanding performance and acquired skills and competencies, Melissa was again promoted to her current position of Manager, Academic Operations at the Kenson School of Production Technology Limited (KSPTL). Melissa is an approved Instructor of the Rig Pass Programme of the International Association of Drilling Contractors since October 2013. She is also an Associated Member of the Institute of Leadership and Management (ILM) as well as a Member of the Energy Institute. Melissa also won the 2015 International Gold Medal for Excellence in the category of Learner of the year.